Have you ever used an Ouija board? We are here with you tonight. One afternoon in the summer of 1986, I leisurely wandered the aisles of a local book shop. In the “Astrology and Occult” section I noticed a small paperback adorned with a very odd cover. I saw an artist’s rendition of three stern figures, dressed in clothing from different eras in time, “emanating” from an Ouija board. In the background were mountains and a full moon. 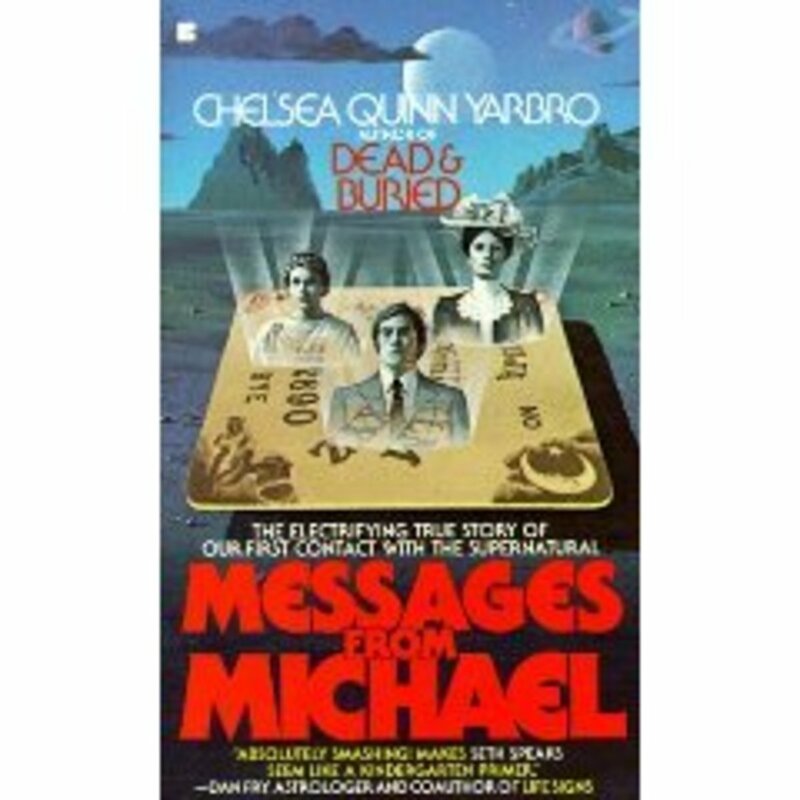 The book was authored by Chelsea Quinn Yarbro and titled “Messages from Michael.” The back cover told of a dinner party where two couples amused themselves with an Ouija board. The planchette spelled: We are here with you tonight. The group found themselves in the presence of Michael, an ancient entity communicating from a higher plane of existence. Michael contacted this group to reveal his truths, and an eleven year exploration into the unknown began. I believed $3.50 was a reasonable price to pay for what appeared to be actual transcripts of Ouija board sessions, and went home to check out my purchase. It was a slow read, but I was fascinated with the concepts. Michael identified a structure to our spiritual makeup that made odd references to entity fragments, soul ages and cycles, overleaves, and much more. Michael’s teachings seemingly provided rational order to the chaos of existence. It was thrilling to read the words and ponder their larger meaning. I showed the book to several friends of mine who were interested in the use of Ouija boards, and they were equally enthralled. They used an Ouija board on occasion themselves, and this offered a framework for new questions. Their interest in using the board was more than I could muster, but I sat in on some of their sessions and sometimes participated. We spoke with Dan, a spirit who claimed familiarity with Michael’s teachings and could adopt his distinctive vocabulary if we desired. My friends asked many questions about their lives and families, and I threw in a few queries, as well. Just as the Michael group had, we met with questions and furiously scribbled Dan’s answers, to be transcribed later. Want to know more about the Michael Teachings? A Campus Organization or a Dangerous Cult? I Want to Believe in Reincarnation! Much has never been revealed about the Michael group and their work. The Michael Teachings grew in fame, and Chelsea Quinn Yarbro produced three more books over the next 16 years: More Messages from Michael (1986), Michael’s People (1988), and Michael for the Millennium (1995). During that time, other groups began purportedly channeling Michael and titles not authored by Yarbro hit the nation’s bookshelves. A web site for the teachings currently lists 20 books written by authors other than Yarbro. In Michael’s People, the credibility of the “other” sessions and books were gently questioned, but no effort has been made to my knowledge to differentiate from the teachings of the original group and the others that followed. The Ouija board was ultimately abandoned in favor of a hypnotic trance or other forms of channeling, but the information always remained an extension of the concepts presented from the beginning. Several years later I made a most amazing acquisition. A friend from California who heard about our Ouija board sessions asked if we would be interested in owning some of the actual transcriptions from the Michael sessions. Her father was a member of the first group documented in Chelsea Quinn Yarbro’s books, and she had inherited two huge volumes of transcribed sessions. She did not inherit her father’s interest in channeling, however, and had no real use for them. My friends were eager to peruse some of the original work, and the volumes were subsequently shipped to Kansas. What we saw amazed us. Similar in style to the paperback books, the original transcripts typed Michael’s answers in all-capital letters. (We had no reason to doubt the authenticity of our newly acquired documents, but this was reassuring.) Occasionally, someone dutifully highlighted or drew boxes around Michael’s comments. There was far more to notice than the typing style, however. The Michael Teachings, unedited for public consumption, shed tremendous light and shadow upon the published works and the individuals involved. We first were amazed at how normal the original group seemed. On the back of one of the typed pages were handwritten directions to a potluck, accompanied by a simple map. The group asked for guidance about typical day-to-day activities—it wasn’t just about the nature of mankind or the fabric of existence. They asked about their parents and neighbors, careers, and even their cars. Michael dutifully answered all questions and sought to link their queries to larger topics. Eventually the group became comfortable with Michael’s concepts, and their questions were geared toward his thematic structure. Their work became increasingly complex, and the group itself grew in purpose and scope. They struggled not only to integrate these odd teachings into their daily lives, but with how to function as a structured group. They noted in a session the need to charge $10 per month for photocopying, and also discussed becoming a corporation. Initiates were required to have several meetings with older members before attending an actual Ouija board session. Eventually the group envisioned purchasing land and building a community based upon the Michael Teachings. There were other differences between the books and the original transcripts, as well. Foremost among them: Michael was not the only entity channeled by the group. There are also extensive notes made channeling an entity named “Tomas”, “Crystal” and another named “Soleal”. It was not automatically Michael who spoke with them and many Ouija or channeling sessions began by asking, “Would someone care to communicate with us?” There was never more than one entity channeled for an individual session, but at least once Crystal dropped in to say hello before Tomas took over. There were also stylistic differences among the channeled entities. Tomas’ teachings seemed similar to Michael’s but the jargon was de-emphasized—references to overleaves, soul fragments and other terms coined by Michael were absent. Tomas seemed more the higher-plane clinical psychologist, offering advice and solutions on a personal level. Soleal was quite different from Michael and Tomas, though! 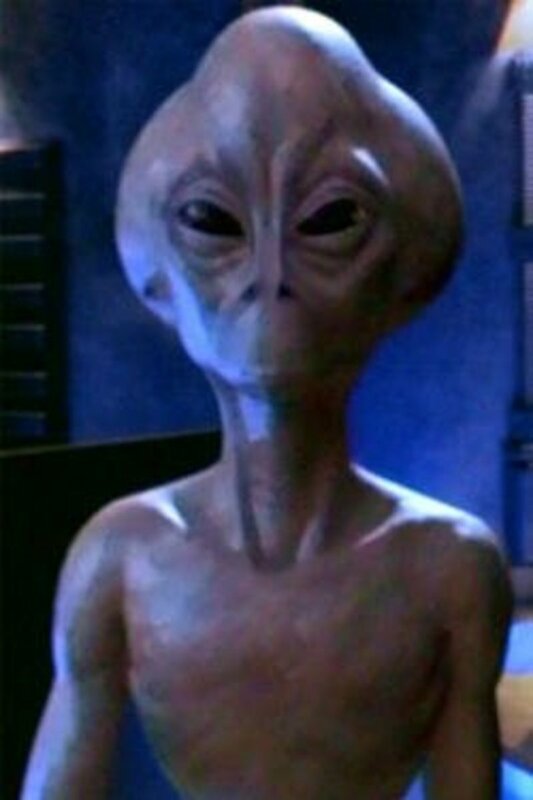 Soleal lived on a planet 20 light years away and communicated telepathically with the group. Naturally there came talk of Soleal visiting Earth, and he was enamored (if a bit frightened) of the idea of meeting with world leaders. In fact, Michael commented frequently on the methods and practicality of interacting with this alien, and even suggested meeting him at the Oregon Vortex, explaining that each celestial body has a vortex through which planes intersect and can be used for interstellar travel. The boundaries of the Michael group expanded quickly---perhaps too quickly as the members sometimes lost focus. In Yarbro’s later books, she reconnected with the original assemblage. Many seemed to burn out and wished to get back to a more normal existence. 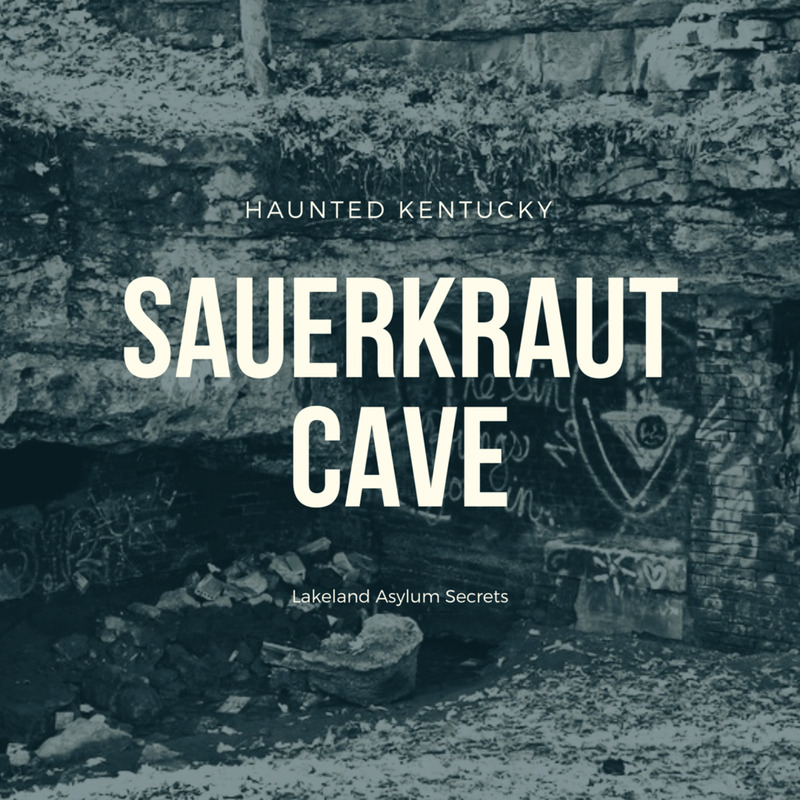 For years their contact with these entities was all-consuming and they seemingly grew tired; or perhaps after channeling for a solid decade, they couldn’t think of anything else to ask. Their recollections of those times seemed wistful in the recounting, as if they lamented the time lost in pursuit of a universal truth. Neither the original books by Chelsea Quinn Yarbro nor the Michael Teachings group that emerged later has (to my knowledge) acknowledged Tomas, Crystal or Soleal. I attempted to contact the Michael group via email, informing them I had some original transcriptions and asking if anyone had heard of the other channeled entities. I never received a response. My friend from the Ouija board days contacted Yarbro (also via email) and asked the same questions. She responded that the materials provided by the group only mentioned Michael. For the sake of writing a book, it seemed natural to edit out anything overtly personal from the published material. The nature of reality would sell more than discussions about how to stop smoking—at least in the occult section of a bookstore. However, that seemed an appropriate task for the author or her editors, not the group itself. Were these omissions only for the sake of creating a cohesive book, or are there other mysteries to be revealed? Why was Yarbro only shown transcripts from Michael sessions, with all references to Tomas and Soleal removed? What did they believe Yarbro might do with this information? The notes in my possession are not complete and make no reference to finally meeting Soleal, and eventually Tomas is no longer channeled. The land was seemingly never purchased; the community based on Michael’s teachings never built. Why did they stop communicating with these beings? Why did they abandon their plans? What happened? Does anyone know? Is there anyone left from nearly forty years ago who can provide an answer? Does the current Michael group know the answers to these questions? What can we yet learn from a group of people that used an Ouija board nearly 40 years ago? Do you believe an Ouija board is dangerous or just a game? 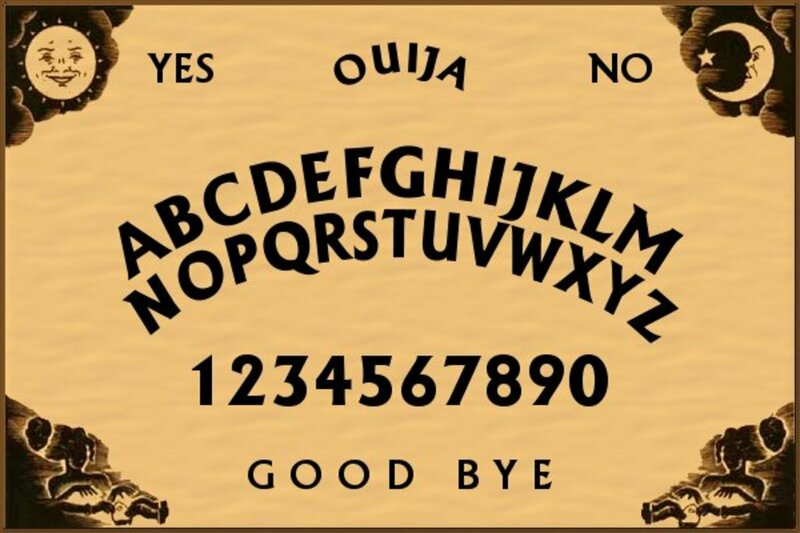 If a friend invited you to join them in using an Ouija board, would you do it? Are you kidding me? Not a chance! I just came across your site, Michael. It's nice to meet you. Though I am not easily frightened, my 'spidey sense' tells me that the Ouija board is/can be dangerous, since it is/can be a portal. I also suspect that there are more ill-intentioned spirits or demons out there than many of us suspect. The world of spirit has been so cloaked with stories - both true and false - that the only things we have as guideposts are those places where the great traditions join, and our own soul's resonance. I know that, and when I read (you saying)that Michael said something similar, and urged his listeners to seek inner validation I was impressed. I've ordered the first book, and look forward to reading it soon. Thanks for sharing your thoughts and experiences with us; you write well, and about some of the things that I am also interested in ... I am inspired to start posting some experiences of my own. Perhaps. Anyway, be well, and keep posting. Blessings. Bravo. I heartily approve the release of the original Michael transcripts. This information is so special and should be shared with as many people as possible. Congratulations on this important accomplishment. For the past few years, we have been collecting copies of transcripts from the Michael study group in the 1970s with Sarah Chambers and friends. Most of what we have collected comes from members of that original group. After consulting with legal experts, it has been confirmed that these original transcripts are in the Public Domain and may be freely shared with Michael students. We are making these transcripts universally available to help dispel some of the false mystique, mystery and misunderstanding that have surrounded their existence, whereabouts and use before now. It is our intent to make them readily accessible, free of charge, to Michael students and other interested persons everywhere. We encourage you to download these transcripts, in whole or in part, for your own study and sharing with others. Since they are exact copies of the original Michael study group sessions held in Oakland during the 1970s, we believe they are an invaluable resource for expansion of knowledge about the Michael group and its teachings by interested students and scholars everywhere. 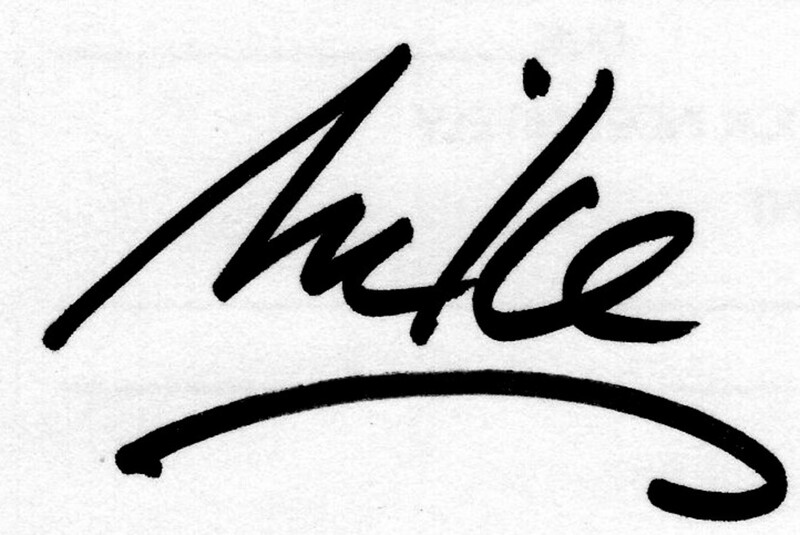 At some later time, we intend to release an easier-to-read version (with aliases for names), which will include an updated history of the Michael Teachings that includes interviews with members of the original study group. Please share this message with other Michael students that you know. Center for Michael Teachings Inc.
Dan Greenspan, thanks for your comments and insights. You have asked questions I have wondered about--are the newer Michael groups truly talking to the same entity that addressed the original group? Is there even a way to truly know? I don't ask this to discredit this group--I have a great deal of respect for what they have accomplished. I just wonder if there is a way to truly know. It seems certain that there might be differences in information between the old group and the new, and like you, I wonder what it might mean. I have no connection to the new group beyond interactions here and in a few emails, so I cannot address this. It appears as if you have, however, and I thank you for adding to the body of information this article now contains. The questions remain and are still compelling. Any search for the truth should be so exciting. Beware of the Darkness, thanks for reading. I understand the interest in the transcripts I have--the Michael group is wondering if I have any information they don't yet have in their possession. It is possible, I suppose, and their curiosity is understandable. I withdrew from this topic for awhile because I needed to devote time to other things, but I don't dismiss their desire to know what I have. I respect their interest in expanding their knowledge. I did find your means of addressing the comments here interesting and (frankly) amusing. I appreciate your stopping by. "I have often wondered about what might be found in comparing various Michael channels." One of the things that drew me into the Michael material was the heavy emphasis on validation. Unlike religious faith, Michael encouraged his students to test what he was saying (with realistic parameters) against the real world. The concept of validation has been somewhat misunderstood with most new Michael groups to mean the person feels a reading or comment resonates and seems applicable to them (without testing or researching the accuracy of the statement). The Faithful believe without proof. Michael students test...even if the info comes from Michael himself. In terms of comparing the information. I've done that. The old school channels (as in from Original Michael group), say for example, that homo sapiens were ensouled some 55,000 years ago and that the average duration of one's sojourn on earth lasts about 5000 years, from the first life to the last (give or take). The "michael" that Troy channels often has past life readings that go back millions of years so there's a disconnect somewhere. Of course there are plenty of other examples of this, but you get the point. So you have two camps. The old schoolers who's material overall has remained consistent from the start (40 years on)and you have newer channels who may very well be legit, but I have no clue who on the other side they're talking to. John, thanks for your comments and I apologize for being so slow to respond. I do indeed have a large collection of transcripts culled from a long time with friends who used the Ouija board, and I do hope to someday find the time to transcribe them and make them available in one form or another. I was very interested in what you said about your own experiences, and I hope to contact you sometime to hear more. Take care. Memelegion, thanks for your comments. My path was largely similar to yours, and I embrace the diversity of thought and knowledge I have encountered along the way. I have used a Ouija board at times and known folks who used it frequently, but it is only one path. I am still on my journey, and who knows where it will end up leading me? Dan, thanks for your comments. I appreciate your unique perspective here. You're absolutely correct-- the original Michael group was hardly seeking notoriety, although I suspect they considered it a possibility if they continued on their (at the time) current course. I have often wondered about what might be found in comparing various Michael channels. How does one authenticate the channel, as Michael or someone else? I am not asserting these channels are false or inaccurate--I only wonder how validation is achieved. Geraldine, I understand that the files I have are not unique--they were clearly valued and copied over time. I do believe there might be some things I have others might not, but I have not had time to compare the books in my possession with the material already compiled. I still hope to someday. Greetings, it is I, Michael. I come from a land very far away and yet very near. Just kidding. I am very curious about these other channeled entities. I am surprised no one asked any sooner, but I would love to see those transcripts if you can ever get around to typing them. Why hold on to them and not put them online? I have used the board many times in my own life. I have never had a negative experience, except for one time, either I was going through a slight depression or a negativity was attaching itself to me which I needed to ignore, I am not fully certain. At any rate, I have also used the Psychic Circle ("angel" board), tarot, and done automatic writing for about 12 years. I have even tuned into people's dead relatives psychically and passed on messages, as unlikely as it might sound. I wonder what difference really there is between channeling in the mind and on the board, apart from the fact you have physical feedback and may be more unaware as to what energies you are working with, especially if you are not tuned in mentally. If you feel like conversing more feel free to email me at snailsandbirds@hotmail.com. I used an Ouija board numerous times without direct success several decades ago, and I use to have one mounted above my headboard when I was not using it, but this is first time I ever heard of MFM. At the time, I was heavily immersed in learning about Demonology. I happened upon your article doing some casual research on the human spirit, body, and soul. From my previous interests, I would say Ouija boards can be a very powerfully dangerous tool in most case even when it seems harmless. Recently, I was reminded of this from my current interest from a statement from Frank Sheed, “The human soul is the lowest of spirits. 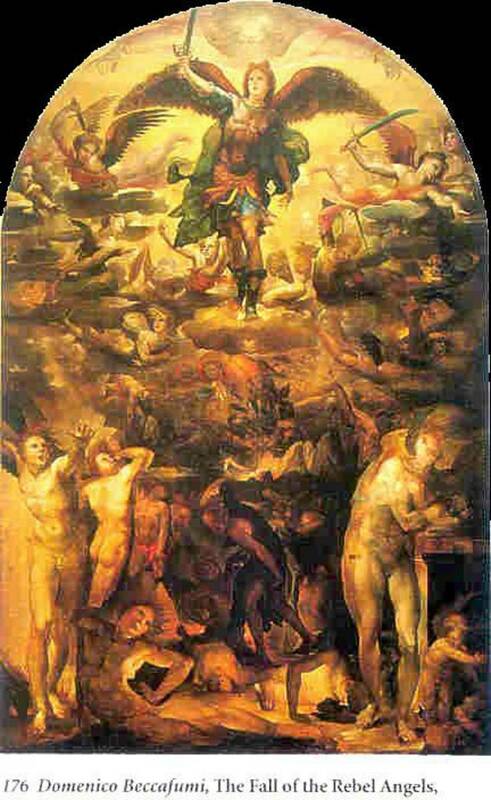 The least of the angels is unimaginably superior in power.” Angels of course are pure spirits, but the kind of spirits you can encounter using tools such as Ouija boards are rarely good pure spirits even though they can seem to be, and the good and bad spirits are equally superior in power and intelligence compared to humans. It is interesting paths people take in search of Truth. As for myself, I started life as a cradle Catholic, and tool a long winding road through Astrology, Demonology, Atheism, Memetics, Gnosticism, and back to the Catholic Church. I don’t pretend to be an expert in any area, but I just felt like sharing my opinion of why Ouija boards can be dangerous and encourage exploration of the human spirit. I found the full chapter for Sheed’s discussion on Spirit at superflumina.org/spirit_sheed.html for anyone who may be interested. The introduction to CQY's various Michael books often make it quite clear that certain portions were 'edited.' Keep in mind the original Michael group, unlike Jane Roberts' Seth, were never intended for global dissemination. The sessions they conducted were filled with personal information, much of which had to be cut and pasted to provide context and omit personal data. CQY doesn't deny this. There is no conspiracy here. Also keep in mind over the years the original Michael group has had several people doing the channeling and Michael's voice and info has remained consistent throughout. The quality and consistency of most of the other Michael channels is spotty at best. Personally, I've had readings through CQY's causal messenger service, several by Victoria Marina Tompkins and a handful by Troy Tolley. The readings by CQY and Victoria Tompkins (who studied under at least one of the Michael channels from the books) were top notch. Accurate to the point of stunning. In my several experiences with Troy I was far from thrilled. Troy is channeling something, just what I'm not sure and I don't plan on spending any more money to find out. I also wasn't thrilled by some of the new 'expanded' material he's coming out with. This was my experience however and others may disagree which is their right. Regardless, anyone about to spend their hard earned cash on a Michael reading should be vigilant about testing the material and not swallow on faith anything that comes out regardless of the source. Mike -- Those same files that you have also have been converted to PDF files and have been circulating around the various Michael communities for quite a few years now. And, yes, it is fairly well known that Yarbro took editorial liberties with not only what she included in her books, but even with the direct quotes at times. The books reflect HER view of Michael. This is not to say that they lack value; but, it's the same story multiplied throughout human existence: each person has their own conditioning and imprinting, overleaves, and, most especially Chief Features, all of which create a unique reality for each. As of now, Troy Tolley, another Michael channel, is the only one online who is continually channeling both new and expanded material, questions that were never asked, as well as personal questions for his clients. A lot of this is available online at truthloveenergy.com. That's fine, Guest. I appreciate your stopping by. Take care. No Disrespect Mike, But Honestly Thats All I'm Going To Say. Biggest Mistake. GuEsT, is this something you have done, or do you know someone who has done this? I would be interested in your story. Rowbear, thanks for reading. I do have quite a few binders of transcripts from Dan, and I do plan to put some of it out here someday. Thanks for your interest, and I hope to see you again when my Dan project is underway. Any transcripts or interesting anecdotes/stories to share from your sessions with Dan? Ed, thanks for your insights. I once tried comparing what I found in my copies of the transcripts with the Yarbro paperbacks and wondered why it was so difficult to compare the two. Eventually I wondered if there was another source of information, but left it at that. It would be interesting to know what Yarbro's blanket copyright includes, but I never had the time or inclination to challenge copyright claims. I think the suggestion of perusing michaelteachings.com is a sound one, but I also believe the appropriate venue for using the original information will someday present itself in a manner that satisfies everyone (including Yarbro). It likely will not be through my efforts, but I think it will happen. One point about Messages From Michael and the early transcripts: most of the channeling in MFM comes nor from those early sessions, but from about 10-12 special sessions which Yarbro had with the main channel. In the book she generally alternates between a chapter of (fictionalized) "story" about the various fictional group members and how Michael gave them good advice or insights, and then a chapter that is one solid block of Michael talking about one of the main topics like soul ages or roles. In the special sessions Yarbro and the channel worked over these main topics, and of course Yarbro edited them. There are no known details or transcripts of these sessions unless Yarbro has them. We only know that they happened because SC's daughter told us that those sessions happened, sometime in the late 1970s after the early group largely separated. My main point here is that very little of MFM comes from the early group. I was really disappointed to discover that when I read the transcripts years ago. Apparently (we are told) Yarbro claimed copyright because SC gave her copyright rights over all the early transcripts. Whether that would mean just what SC channeled, and not what others channeled or the questions that people asked, who knows other than Ms. Yarbro? I recommend all you other folks passing through should thoroughly peruse michaelteachings.com. Thanks for your comments and continued communication. I still hope the time might come when we can get together. Life takes odd turns or it might already have happened. I recalled remarks from someone in the comments field above (perhaps you) regarding Yarbro's determination to protect the copyright of the original Michael teachings--a course of action on her part I certainly understand. I agree with you--the original transcripts come from such an early period, they are not the best source for an introduction to the teachings. As you suggest, they are heavily influenced by personal and immediate concerns, and I believe that the original group was still finding their way toward knowing how best to use the information they were given, years after their sessions began. There is much that is good to be found in the study of the Michael teachings--both the original works and what has been conducted since. I am certainly not an expert, but I believe it is one of the greatest movements in our lifetime for understanding the human condition. I still seek the opportunity to learn more soon. Take care. 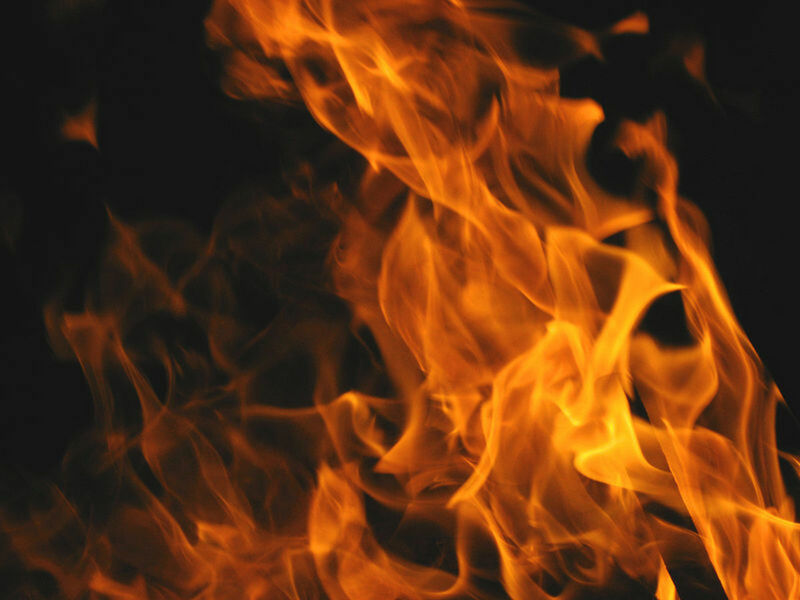 In his original blog, Mike says he was hoping to make contact with members of the Michael teachings community, and indeed he has via the blog. I do hope he and I can meet in person some time. Ed, Jose, and I have met members of the original Michael group, we are in contact with them now, and we will continue to pump them for information that hopefully we can share with interested persons at some time. Until that happens, may I suggest that you read what is publicly available in books and on web sites. Just google "messages from michael" and "michael teachings" and you will find resources enough to keep you busy indefinitely. It might also lead to personal contact with other Michael "students" in your own areas -- we are scattered all over the planet. Mike laced his blog with an air of mystery and intrigue about the original group. That group is defunct, and there is a derivative contingent of the Michael teachings that has preferred to remain private, but there is much that can be learned and experienced with the public contingent. Regarding the potential for making the transcriptions of the original group public, there are copyright issues because much of those transcriptions were published in Chelsea Quinn Yarbro's book, Messages From Michael. May I suggest that all interested readers of this blog purchase and read that book first, then go to www.michaelteachings.com to read the vast amount of material there, and to find links to numerous other books and websites, including Jose's. Ed said, and I agree, that the information in the transcriptions of the original group is not the place for new students to start. I regard it as an an advanced course of study. For the book, Messages from Michael, Ms Yarbro gleaned the best info from the transcriptions for beginners, and it continues to be the best introduction to the teachings after 30 years. Thanks again for reading. Come back any time. This comment is to Mike Lickteig, but as well everyone else involved with the Michael Teachings... I'm far below your understandings of any of this. But more than anything i just began reading of this through your hub, which made me sign up to this as well just to be able to speak with you here. And follow your conversations of this and other topics. I'm one to think there is always a reason for things to happen and there not always at the time understood or even known why at the time you see or find things. But all in the same i believe i was meant to find this.And i'm drawn to it very very strongly and feel i have the need to see and know more.I hope i haven't confused anyone yet, but as i said i was drawn here for a reason and now i have to try to figure it all out to find the answers to the riddles you all speak of here. Funny thing is that as i read this i felt everyone here was at a sence of feeling each other out in a sence but drawn to each other for different but paticular reasons. Answers... Just a personal note Mike i have had as well like you the outer body experiences and dreams, my own ghost experiences as well and the Paranormal.But , i'm sure many that have come across your stories can relate in some kind of way as well. To simply meaning things and events happens in one's life for a reason. And some times in this life for reason's not always understood. I'll make this short my first time here, but would if i may follow you and your acquaintances here i'de be pleased and maybe learn why i'm drawn here any way... Thank you all. Mike, Phil, and Ed.. and the others here as well. Phil, thanks for staying in touch. I'm sure we can find an opportunity to meet soon. Take care and happy holidays. T. Pulano, thanks for your inquiries. I was preparing for some art fairs, and my other job demanded more of my time, as well. I might very well look for a means to make the transcripts available for download--it is a great idea, and I'm certain it would be of interest to many people. Thanks again for stopping by. Mike and I did not meet. His artistic pursuits occupied too much of his time this holiday season for that. I plan to get back with him after New Year's. Contact me off list. I was just wondering whether you and Phil met. I am also curious about the content of your manuscripts and whether it would be possible to convert them electronically and make them available for download to anyone interested sometime in the future. I will let you know if I have a chance to meet. Thanks. Waiting and hoping to hear from you. Phil, thanks. I am okay, just a bit overworked and stressed. I am unsure what opportunities will exist with work and family-holiday obligations forthcoming, but I will look for the opportunity to meet, even if only for a short time. Thanks for checking with me. Thanks for your response. I was actually getting concerned about your wellbeing. Please call me at 720-226-7576 and let's talk, at least for a few minutes. And if possible let us make arrangements for a meeting at your convenience, however brief with whatever little spare time you have. Phil, sorry for the lack of response. It has been a busy time for me--working extra and getting ready for craft fairs for the holiday season. I would like to see the transcripts and have you see what is in my possession, but I am uncertain it will happen this time around. I am happy to communicate further, and hope to still find the time to meet with you, even if only for a few hours. Nothing is ruled out. Thanks for checking back. Take care. Thanks for getting back to me. I will stay in touch. Thanks, Phil. I will certainly keep in touch via email, and I will try to free a block of time for when you visit Kansas City next month. Feel free to keep the dialogue open, I have appreciated the communication a great deal. Take care. Either I have the answers and the info you are looking for, or I know who does, or they are not available. We don't know much about the transition from the original Michael group to the closed Yarbro group, but we do know about the transition from the original Michael group to the open contingent of the Michael teachings. There is a lot that I can send you via email, and there is a lot that I would rather say directly and privately rather than in this public forum. And of course I would still very much like to meet you in person in Lawrence next month. Ed, thanks for stopping by. I may very well take up Philip's offer to meet when he is in Kansas City next month. It would be a rare and interesting opportunity to learn more about the Michael teachings and their origins. I would still be interested in learning what happened to the original group as time went by--what compelled them to move on to "normal" lives? What made them abandon plans to buy land in the Pacific Northwest and meet Soleal? You raise some interesting points, as well. It seems natural to accept that nearly all aspects of the groups interactions were fictionalized by Yarbro except the teachings themselves. This assumption raises the questions of how Michael was originally discovered, and how did the group meet? There are many intriguing questions. As I have mentioned, I am certainly interested in learning more and hope to find the appropriate venue to accomplish this. In the meantime, I am appreciative of your interest and interaction on this page. It has been richly rewarding, and I will certainly look to continue this dialogue in the future. Take care. Mike -- I think you should take up Phil's offer to meet you. He has been involved with the MT "forever" and knows most of the channels and probably as much of the history as anyone. He also has several of his own manuscripts which probably go farther into the deep "theory" of the MT than others have gone. He (and I and a few others) share an interest in how the early group developed. It was quite different from the fictionalized story in Yarbro's MFM. If you can imagine yourself and a group of friends suddenly getting **free** access to unlimited time with a really good channeled source, this is what they had. It was 35-40 years ago, and they didn't know what to expect, since channeling was much less common then than more recently. They didn't operate systematically. Each person had a lot of questions about their lives, the overleaves, etc., of a lot of people they knew, as well as public figures and spiritual or historical figures. There were new people coming into the mix regularly breaking up the focus. It's a disorganized mishmash in which Michael gradually inserts new information when someone asks a good leading question. Apparently the group divided about 1975 or 1976. Some of the original people and the original channel occasionally got together (and still had contact with Soleal) while the other group closed off and went underground with Yarbro. It would be really, really great to find anyone who was in that second group or their transcripts. As far as I know that's virgin wilderness, so to speak. Ed, thanks for stopping by. Yarbro claimed no knowledge of Soleal or Tomas when a friend of mine contacted her by email about five years ago, so I believe she would be hard-pressed to claim the copyright to all of the original transcripts, but that's okay either way. I never intended to publish or otherwise distribute them. I must confess that the personal stuff of the original transcripts was part of the appeal for me--it validated why the group was meeting on some levels and made it seem more real somehow. Knowledge without personal application can almost seem an abstraction on some levels. I have wondered if there is anyone amongst your group now considered the definitive source/person/channel for communicating with Michael. Or, perhaps it is easier for one person to channel than another. In many ways, the dynamic of the Michael group interests me almost as much as the information itself, although on a far different level. 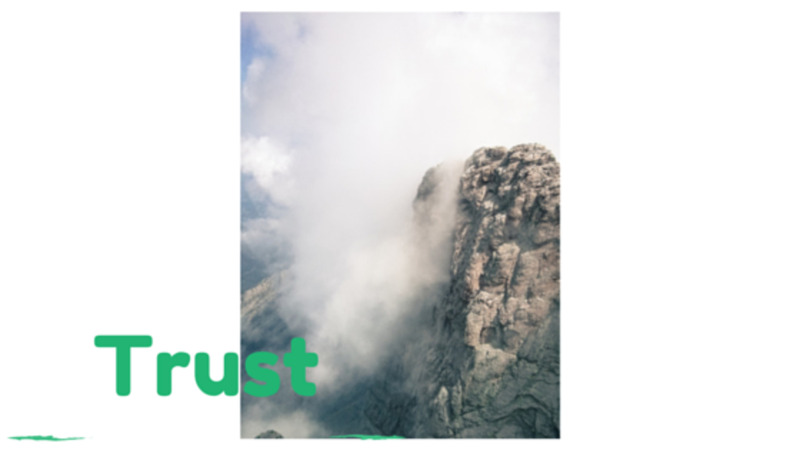 The emphasis on validating among channels is an interesting point and is quite logical. I would think it would require a fairly sophisticated communications network among your group, but unlike the original group, the Internet is good for that. Thanks for stopping by, you have answered some questions while raising others. I have appreciated your willingness and that of the group to explain so much, and I encourage you to feel free to continue. Thanks again. HI Mike -- I don't believe anyone here has mentioned it, but there is a website, michaelteachings.com, which links to many of the channels' websites and has numerous articles about both the basics of the MT and some more advanced topics. One thing which I think is notable about Michael compared with other sources is that they have come through numerous different channels, dozens of them. This allows us to compare them and to see the points which all agree upon as well as what seems to be coming from only one channel. Michael generally insists that we validate everything, that something they say, or one of the channels says, is not true until you look at it closely with your own experience and knowing and find that it resonates as true. Generally it's not possible to be nlack and white about which channel is better than which other one. They all have strengths and weaknesses as well as good days and not so good days. About the transcripts of the original sessions, in general: the early group members typed up transcripts and distributed among themselves. For the most part the old transcripts long since were lost or discarded. The actual main materials of the MT are much better covered in the Yarbro books and in the other MT books (which you can find in the website I mentioned). The transcripts are largely full of personal questions and most readers would find them disappointing and a waste of time. A few people in more recent times have gotten copies of some of the early transcripts. No one is publishing or distributing them other than occasionally someone copies them for a friend. Yarbro claims that she owns copyright on all of the early transcripts and she has threatened to vigorously sue anyone who would publish or distribute them. As a result, no one is publishing or distributing them other than privately one at a time among close friends. I would emphasize again, they are not something that most people are going to find at all useful. I think a good analogy would be with the Seth materials channeled by Jane Roberts. The material in "Seth Speaks" and "The Nature of Personal Reality" comes from sessions numbered in the 500s through 700s. There now is available a set of volumes containing everything from the beginning of their contact. I'm sure deep scholars of the subject would find that interesting, but the best stuff is probably what Jane and Rob Butts published, because they knew and Seth guided them as to what material needed to reach the public. Bob, these were made by the original Michael group and distributed amongst themselves decades ago. I inherited a copy from a relative of one of the members of the group. I am not certain who has other copies or how many exist. They are not in public circulation that I am aware of, but they were the basis of the "Messages from Michael" books by Chelsea Quinn Yarbro. I've been hearing a lot about these early Michael transcripts. I'd love to take a look for myself. Where can I find them? Philip, I'm fine with communicating via email. I will contact you soon. Thanks again. Thanks for your response. How can we communicate directly rather than thru HubPages? I noticed that my email address did not make it thru some filter in my previous attempt so I am going to try a code. I am also going to send an email to you via the "contact Mike Lickteig" button. Philip, thanks for stopping back by. I'm not certain how much time my schedule will offer me in late November, but I am willing to communicate via email to see if something can be arranged. I am certainly interested in the Michael group and in comparing the transcriptions we both possess. Feel free to keep in touch via email. Thank you for responding to me and some of the others who have posted here recently: Troy, Ed, and Jose -- all of whom I consider friends for more than two decades. They are very knowledgeable about the history of the Micheal Teachings, as am I. As I said before, I am a native Kansas Citian, and tho I don't live there now, I will be visiting friends and relatives there during the last half of November. I hope this does not seem too forward, but I would very much like to get together with you in Lawrence during that time. We can spend many hours together if you have the time, and I suspect your curiosity will be both satisfied and piqued. And, just so you know, I want to compare what you have with what I have of the transcriptions of "The Original Michael Group." It should tell you something that I am a Scholar soul/Artisan Role fragment. Please contact me directly via . Jose, thanks for your response to this article. I confess I have been curious about the relationship between the original Michael group and subsequent channels. One got a sense of a rivalry or, as you described it, possessiveness about the materials. With so many decades for this dynamic to have played out, I have wondered how each group viewed the other. I would be interested in knowing how many "generations" of channels there have been--is the second group now considered elder statesmen of sorts? You have suggested that subsequent groups have put forth information that is contrary to what you believe the Michael teachings to be, which leads to questions about how a Michael channel might be authenticated. I am a fan of the books and teachings although they progressed a bit beyond my scope. As such, I am interested and curious about the inner workings of the group and its various factions. Your comments have offered a piece to that puzzle and I am appreciative. Thank and take care. At some point I might certainly contact you. Hi, I am the author of several Michael Books and have taught the system to thousands of people over the years, from college classes to many private classes and corporate workshops. I had regular contact with a member of the original group and asked questions regularly through this person when they told me the group was closed. Subsequently I found out from Sarah Chambers that this was untrue and the group was open. I have been a Michael student since 1970 and a channel since 1980. Years later I became friends with the late Sarah Chambers, the original channel, in Oakland and then after she moved to Santa Fe where I live. I have an incomplete set of the original sessions and it is true that Tomas and Soleal figured prominently in the original sessions. Soleal's teachings were profound and have benefited me a great deal over the years. He is a king and a little heavy at times, being quite critical (rightly so) of the way we live and encouraging people to live in community and give up the false sense of independence that keeps us so distant from one another. His ideas were so revolutionary that I believe people became afraid to let go and give up their lifestyles for his suggested experiments, perhaps they sounded to socialistic or somethng. Michael has always been much more neutral. Chelsea Quinn Yarbro came along a little later and being an established writer was given materials to release the basic information. Subsequently she and members of the original group became quite attached and possessive of the materials and this was very unfortunate. They gave me a very hard time about going more public with the information. Later the channeling became a kind of free for all and some of the information coming from so called Michael Channels was just bizarre and bore no resemblance to the original materials. This is still going on. At this point I chose to withdraw from a more public presence in the Michael Teachings but still study the information privately quite avidly. In fact on my website,thepowerpath.com I have presented a series of e-books that contain highly detailed information on all the overleaves and other basics for practical use. They are under the name Personessence to distinguish them from the original transcripts. They have much information that is not published anywhere else. I would be happy to answer any more of your question if you wish to contact me. Ed, thanks for your comments. I appreciate your insights tremendously. Several of your statements are very enlightening. I noted in one of Yarbro's books that she alluded to a discussion with some members of the original group. Although she didn't use the word "imposter" in that conversation, she certainly suggested that the newer channels were less than authentic. I wondered: if none of them were part of the newer groups, how could they know if newer groups were authentic or not? However, it was never my intention to choose sides--obviously, both Yarbro's books and the newer groups have brought a wealth of good information to the public. I also am very appreciative of your information regarding Soleal and Tomas. I will confess that I wondered if they had been swept under the rug somewhat; if perhaps the idea of planning for an alien to come to earth was too much for public consumption. I appreciate your acknowledgment of them It is somehow comforting to me to know that you accept their inclusion in the Michael lore. A question: do the newer groups work exclusively with the being calling himself Michael, or are there other spirits still included? Well, thanks again. I will confess that when I wrote this, I hoped to catch the attention of folks like you, Phil and "Cocteau Boy." In turn, I hope that your group understood that my article was written with complete respect and even admiration. I am very much a believer. Thanks again, and feel free to stop back or communicate via email at any time. Phil, thanks for your comments. Most of the folks who studied the Michael teachings with me are gone now, but I still have the transcripts in my possession and my interest never diminished, even if the opportunity for me to further study the teachings became more limited. I will confess that the teachings eventually outgrew me--as the information presented grew more complex, my ability to keep up diminished. I occasionally go back to the "basics" to remind myself of the enormous power in Michael's words. Thanks so much for your comments. Feel free to communicate further via email if you wish. Mike: Very interesting to read your post here, which one of my friends discovered. I know both Phil and "Cocteau Boy". I would add a few more points. There are many methods of channeling besides the ouija board. I highly recommend "Channeling" by Jon Klimo, which goes extensively into all aspects: kinds of sources, what they say, and both the physical and psychological sides of the process. "Michael" is one of the better sources. They come through dozens of channels and say they are available to anyone who seeks to connect with them. They come from a slightly higher plane than Tomas or Soleal, both of whom are individuals on the astral plane, not yet reunited in a working collaboration with the other souls in their +/- 1000 soul "entity" group. Michael has added much new material through other channels since the early 1970s. In part this process depends on people asking the right questions. Generally a channeled entity isn't going to just dump a bunch of new material unless the audience group magnetizes that info. As things have hugely changed in recent decades the frontiers have moved outwards. Every channeled source's message is influenced somewhat by the channel's biases, agenda, and level of information. Michael told the original group that they needed to get the message published. Yarbro showed up and did that job. Without MFM none of us would have encountered Michael. Yarbro has stubbornly and selfishly insisted that all other Michael channels are impostors. One could ask this: if there are over 1000 Michaels and they have an agreement to be teachers for those of us who ask, why would they insist on coming through only one very small, closed, secret group which is not publishing anything new? I read your story with much excitement because I have been a student of the Michael teachings since 1980. I have had contact with a few members of the original Michael group, including the primary channel and some of the founding members. I believe I can answer many of your questions. I am from Kansas City. Hope to hear from you. Kiah, thanks for stopping by. Your story with the Ouija board sounds intriguing, and I would love to hear it sometime. I would also suggest caution when using the board. As you allude to with your comments about an entity attached to you and your friend, many people have claimed negative experiences. The books are still available from Amazon.com, and there is a Michael with a strong online presence. If you are interested, I would suggest you give them a look. Thanks for stopping by, and good luck. I find you article very appealing. Although I am young (16), I have used Ouija Boards countless times, although my last two experiences where not pleasant at the slightest. I had a bad entity attached to me and my best friend. I would love to read these books. I must find them. Schoolgirlforreal, thanks for reading. I have dabbled with Ouija boards for years, along with friends who have used them far more extensively. One friend using the board asked whom she was speaking to and the pointer spelled "Thanatos", which of course is a name for Death. That was a freaky moment. I also know several people who use Tarot cards a great deal, and those are indeed quite interesting. Interesting topic! priests told me of kids in college who played with one and that it rose in the air or said Lucifer when they asked who it was. I bought one once and asked my brother to play but he refused to play properly --I was surprised he was afraid, he was a tough kid. Well, I do use tarot cards, and find them interesting. Mysterylady, thanks for reading. I have stopped by the Michael site as Cocteau Boy suggested, but I haven't interacted with anyone further. I still wonder how they reconcile some of the things in the original transcripts with their own work. The stuff with the alien visitor and the other spirits were extremely interesting, and I wonder what the current generation of of Michael enthusiasts think of all that. So many people have used a Ouija Board, it seems--too many to write it off. I haven't used one in years, but I had many friends when I was younger who used the board frequently. Thanks so much for stopping by and reading, mysterylady. I appreciate it a great deal. What a fascinating hub, and, as always, well written. I had not heard of the Michael groups or books, but they sound quite interesting, though not as interesting as having the original transcripts. When I was in college, i played with a Ouija board a few times, and though the planchette did move, seemingly of its own accord, we were just playing. The comment from Cocteau Boy was amazing. Have you followed through on that? Also amazing was the idea of a visitor from another planet -- as well as the fact that the books did not mention the other "Spirits" of the transcripts. Pollyannalana, thanks for reading. I've known several people who have used the Ouija board with mixed results. My sister used it as a teenager to ask about boys and the like, and it worked well for her. I dated someone who used the board, and it said she was talking with 'Death' one night. That was enough for her. Lots of folks out there warn against using the board, saying that lower level demons are seeking an entrance to earth. That may or may not be true, but there are enough examples of strange things coming from a Ouija board to take them seriously, and I don't blame you for not wanting to go near one again. I appreciate your sharing this story, thanks for stopping by. For whatever reason, I'm sure it was not our idea, when I first married, my mother-in-law and I were entertaining someone with a Ouija Board and if it had been anyone besides an old woman and one who did not like me I would think it was all her doing. Our hands took off on the questions and it was like there was no will in my hands or arms and even she suspected me and I swore to her it was not me and besides that I wanted 4 kids, she wanted us to have none but it said two and it was right as it was on other things I don't remember now but that stood out and I haven't nor would I touch one again. It was a scary feeling to me and felt wrong. I appreciate your visiting, and I will indeed stop by your site. Thank you so much! electra, thanks for commenting. Many people claim that Ouija boards can be a portal for unfriendly spirits to gain access to our world. And, like you, many folks will not use the board due to the dangers involved. There are enough stories of unusual occurances to warrant taking no chances. My first ouija board session became my last when the board picked up a not so friendy entity. Ben! Thanks for reading! Y'know, I think my folks viewed Ouija boards as a simple game, despite our own Catholic upbringing. As a child, I remember my sister using the board with my grandmother! I find it interesting that no one in the official "Michael Teachings Group" seems willing to acknowledge my information or answer any further questions. Perhaps they don't know anything about that first group, but I believed the original transcripts would at least make someone curious. I do have a few Ouija board stories to tell when I get around to it. My acquaintances were quite active in their interests for awhile. Well, thanks again for reading, Ben. And watch out for the cilantro! These were banned from my house growing up Roman Catholic Ouija boards were just one more form of the devil, alongside homesexuals, Non-Christians (and some Protestants), as well as cilantro and jalepeno peppers, OK maybe those vegetables weren't considered the devil but very near, very near! What a great piece of evidence you and your pals bumped into with the original transcripts, I think it's really something that you had that tight knit group of friends man. 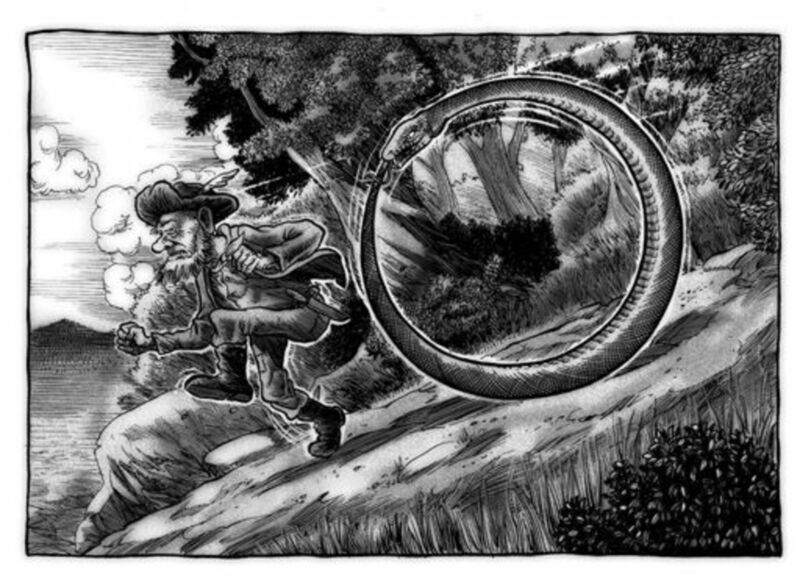 In college a few buds of mine and I read a book called The Flatlanders and we dug through the library until we found an old 16mm film narrated by who else? Vincent Price! Anyway, I'm sort of neither here nor there with the Ouija board possibilities, I'd have to have results with only myself touching the thing. But mostly, I enjoyed hearing about your investigative work and your broad look at Universal possibilities, I am down with that! It's just me, thanks for reading. The Michael books are quite fascinating, although as time has passed, I find their information to be a bit convoluted. I'm glad you found some interesting information in my hub. Very interesting hub thank you for information I've never heard of before and the "new" books to find and read. EIF131, thanks for your comments. There are many people with stories such as yours, and it certainly warrants knowing what you're doing with. Because my friends never encountered a problem hardly means no problems could exist. It is easy to assume it is a simple game because the boards are sold by Parker Brothers--making it the equivalent of Monopoly in some folks' eyes. Thanks again for your comments and interest. I've never used a Ouija board and frankly find them scary. I once spoke to someone about where I've lived for over 17 years because I've dealt with many paranormal experiences. They told me someone who lived in an apartment underneath me used a Ouija board and released something/s that are the reason I and my daughter experienced so many things. If used correctly, I suppose they pose no harm but many use them with little if no knowledge and that terrifies me. Thanks for commenting, Truth. I had friends who literally wanted to use an Ouija board all the time--in that respect, I guess they are dangerous in a way. They swore it worked for them and nothing bad ever happened. Hope you enjoyed your Sunday, Truth. I have to admit, I enjoyed watching the KC Chiefs play Denver--the first Chiefs game I enjoyed in some time. I never have used one before, My cousin used to have one and sweared that they work, but I guess I was always skeptical. I have thought the idea of them to be interesting. Thanks for a good Hub Mike. Enjoy your Sunday. SweetiePie, thanks for commenting. The glow in the dark boards do look interesting and I think it would be fun to use one. I know many people are terrified of using an Ouija board, but I know several people who used it safely for years. I had a friend who want to make his own board, and bought a piece of masonite to use for the board. He didn't know how to paint on it in a way that would keep the surface flat enough for the planchette to glide around. I wasn't sure how to help him, so that was the end of that! Well, thanks again for commenting, you are always welcome to my humble pages. Glow in the dark boards sound fun. My nephew would like something like that. I am not scared of a Ouija board honestly, but I can see why some might be. Sweetie, thanks for your comments. There are now glow-in-the-dark boards that have a fascinating look to them, and diehard enthusiasts sometimes make their own boards. 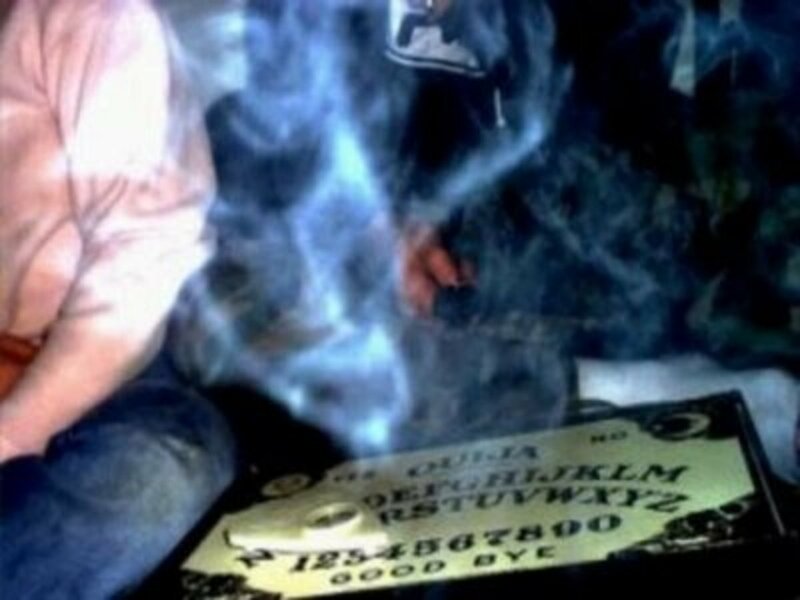 Many people are frightened of what may happen with a Ouija board, and refuse to use them. I really do not have an interest in Ouija boards personally, but some are very artistic looking. My sister had one and we played it a couple of times, but beyond that I could not really concentrate on it. It is interesting for those who like it though, and I think better for kids than just playing a computer game all day.